Audiences primed by films like Fast Food Nation will view this doc as the latest in the save-the-small-farm, save-ourselves canon. 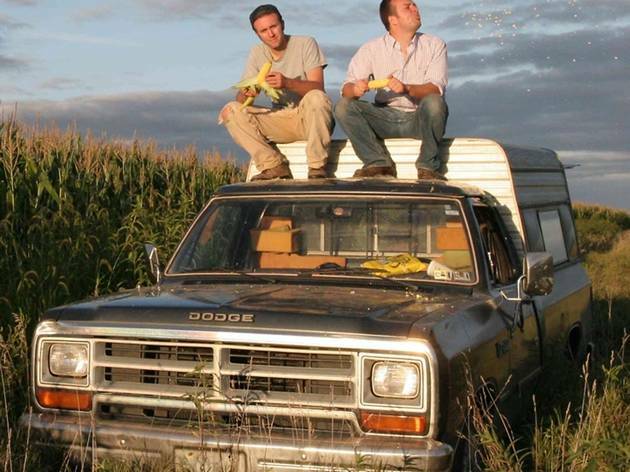 King Corn revolves around a stunty premise: Two Yale grads cultivate an acre in Iowa to discover the fate of America’s largest crop. It turns out that what they—and Iowa’s most prolific corn producers—grow is inedible, suitable only for animal feed and processing plants. The documentary shows the clear links between corn syrup and illness, and between the corn subsidy and the death of the family farm. The premise is contrived, but the earnest lads don’t patronize the farmers whom they befriend. 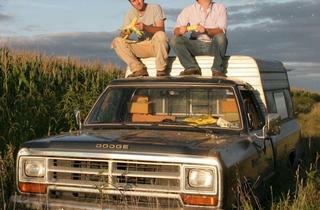 “We’re growing crap,” says one of the Iowans. It doesn’t get much more real than that.